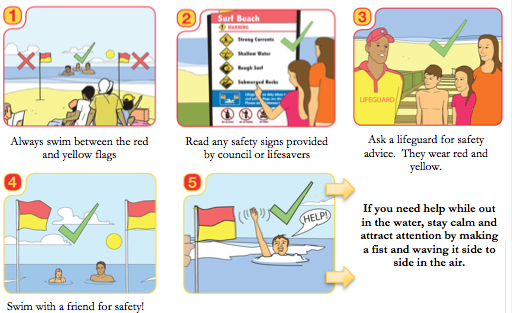 The safest swimming area for beach goers at Kingston Beach is in between the red and yellow flags marked out by the lifeguards on patrol. The patrol area is situated in the middle of the beach, in front of the public toilets. The beach is patrolled from the first Saturday in December to the last weekend in March.